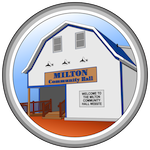 The Milton Community Hall will be having a Ceilidh Tuesday, August 7th. The event will start at 7:30p.m., with doors opening at 7:00p.m. Admission fee is $10 at the door, which will include a light lunch. The Ceilidh will feature Island-artist Lawrence Maxwell along with step-dancers Libby Smith, Bethany Pineau, Jenna Cyr, and Aysha Young. Singer, Amahri Young, members of the Just for Fun Band, and Jamie Younker, Becky Allain, and Roger Smith. It will be an evening of fun and music. We hope to see you there.